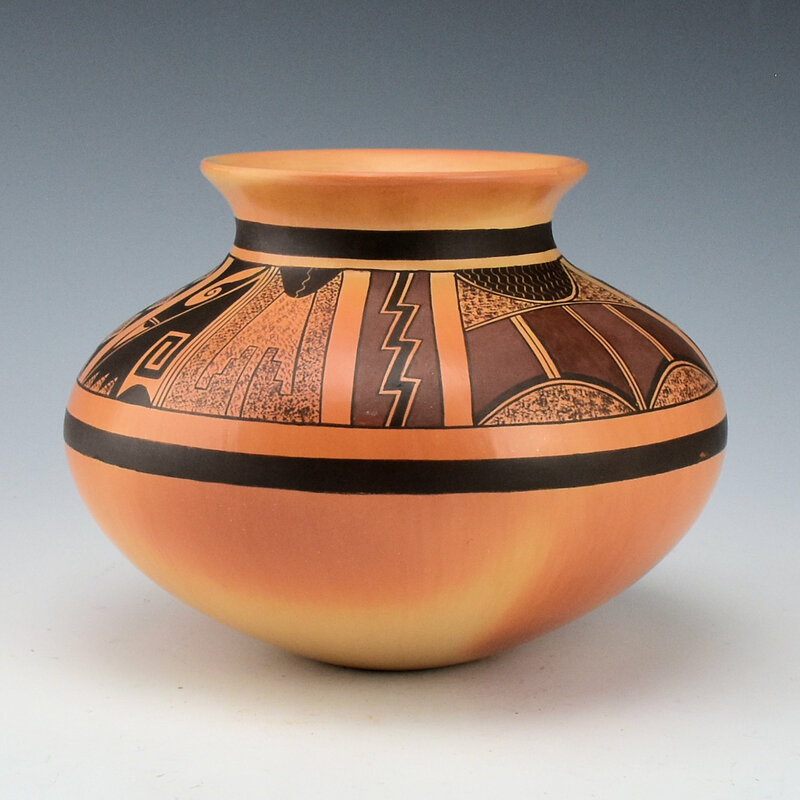 This jar by Steve Lucas is from 1993. It is very intricately painted with a sun and lightning pattern. 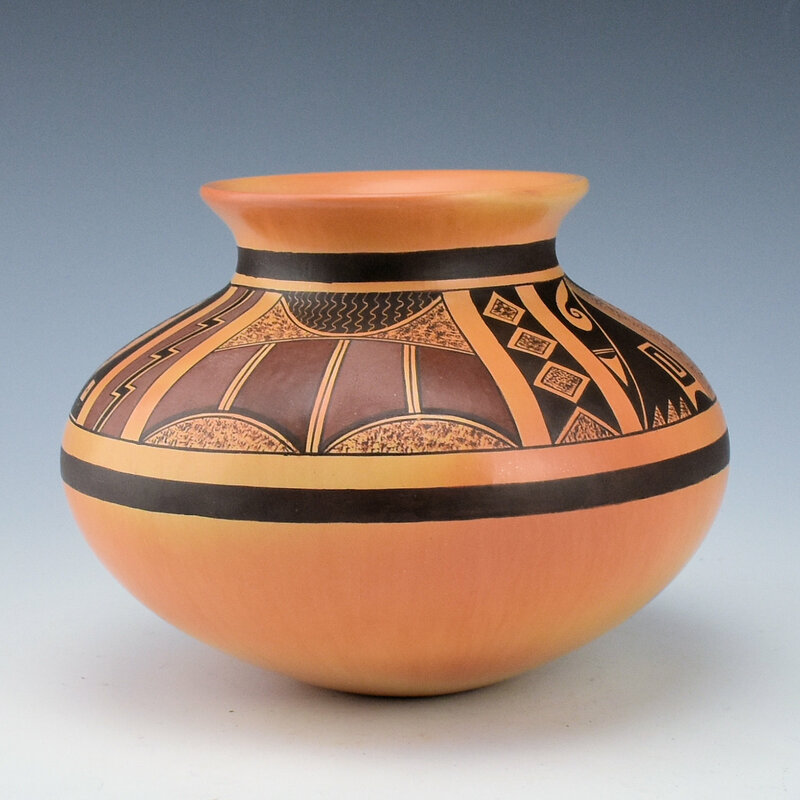 The designs encircle the shoulder of the jar. Note the very finely painted lines! There are polished red areas while the black is painted with bee-weed. The inside of the neck is also stone polished. 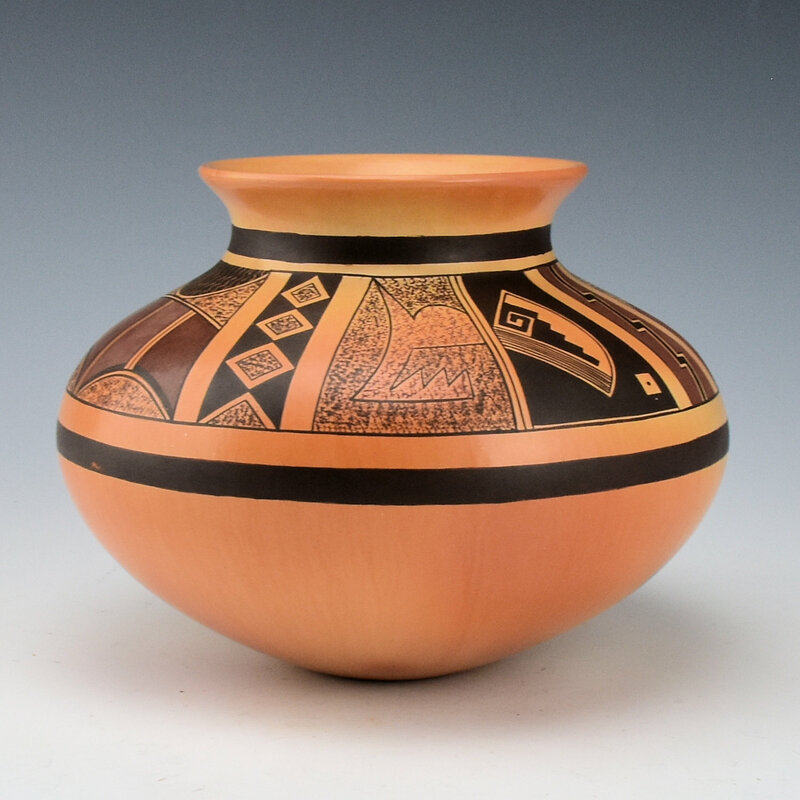 The jar was traditionally fired and has slight color variations from the firing. It is signed on the bottom with his name and an ear of corn (Corn Clan) and a Mudhead Katsina (Koyemsi). 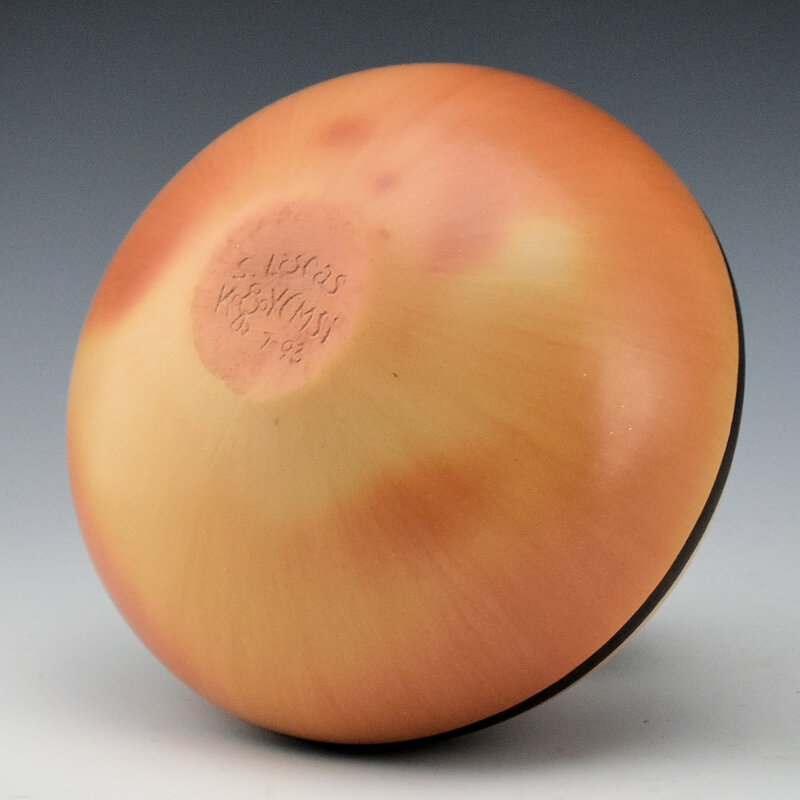 It is in excellent condition with no chips, cracks, restoration or repair.